Indie games have a unique position in the world of gaming to explore what the AAA market generally isn’t willing to, and that’s one of the core values of the indie scene that I love. It’s this portal to try out new things and grow the medium of interactive entertainment, and I say this without the hipster beanie hat and glasses that the statement implies. Murder is an interactive story that draws back from what we universally know, and accept, as the standard gaming experience. It’s a very short point-and-click narrative that tells the story of Minori, a cop in near-future Tokyo who becomes involved in a murder case that spirals to touch on the subject of morality and sentience. The easiest way to understand what Murder is would be to think of it as a comic book told through beautiful art and animation between the panels. Voice acting is supplied to give it a little bit more of the feeling that you’re watching an animated short. 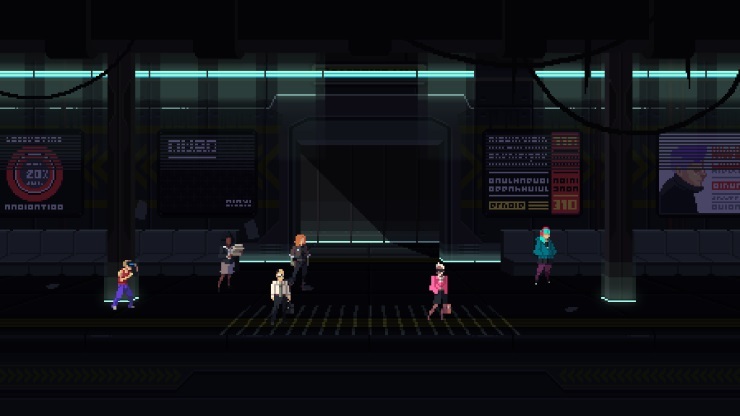 It’s beautifully presented in a style of pixel art that feels rich with detail, but is carefully hand-crafted. 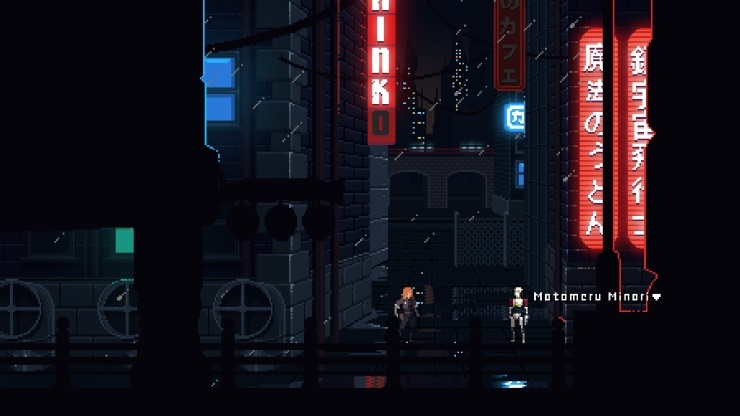 Environments animate and move as you expect to see in the real world, with small but carefully considered details like smoke puffs, flashing billboards, a living cityscape far in the distance, and astonishingly realistic lighting despite the low fidelity that comes with pixel art. This is not pixel art for the sake of it, but rather an aesthetic choice created with attention to detail – and probably painstakingly blocked in one cell at a time. Murder is a one-shot experience that you’re unlikely to play a second time, considering you will have done everything that you possibly can with it in the first playthrough; however, it’s an experience that shows a very, very good proof of concept for expansion into a fully-realised and fleshed out narrative. If this is a proof of concept, or a gateway for the creator, Peter Moorhead, to craft a larger experience from it, then I would be a very excited individual and would be on board without hesitation. I’d love to see more come out of this, especially with this brand of pixel art. An interesting use of gaming as a medium to deliver a comic book style of narrative. I was suitably impressed and captivated by the concept of storytelling through games: all for the modest price of a comic book, no less. No reason to play it twice.